The fifth generation of mobile communications networks (5G) is currently in the standardization process, which is expected to be completed in 2020. For this new generation, new applications and scenarios are imposing new performance requirements in addition to higher data rates. Specifically, the Internet of Things (IoT) and e-health applications have very important economic roles in 5G networks and define particular performance requirements that must be considered when defining the technologies for 5G networks. 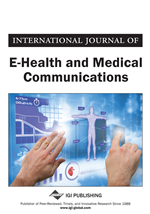 In this paper, the author discusses the influence of e-health and IoT applications on the technological trends for 5G networks. The evolution of mobile terminals has been significantly influenced by four technological trends: processing capacity, storage capacity, camera resolution and screen resolution. The processing capacity of generic microprocessors has grown exponentially. For example, in 1995, the Pentium Pro processor had a capacity of 161 MIPS (million(s) of instructions per second). In 2000, the Pentium IV processor had a capacity of 1,342 MIPS; currently, the capacity is approximately 10,000 MIPS (Bit,2013). The storage capacity of random access memory (RAM) has also grown exponentially, and the cost per stored bit has decreased exponentially. For example, RAM capacity was 256 Mbit in 2000, 4 Gbit in 2006 and is currently 256 Gbit. Furthermore, the cost for 1 Gbit of storage was US$ 500 in 2000, US$ 32 in 2006 and US$ 0.25 in 2015 (Bit, 2013). Similarly, the storage capacity of flash memory is currently doubling every 18 months, resulting in a 10-fold increase in storage capacity every 5 years (Fettweis,2014). The camera resolution used in mobile terminals has also grown exponentially. For example, the resolution was 0.11 Mpixels in 2000, 2 Mpixels in 2005 and 41 Mpixels in 2012 (Cardinal, 2013). Additionally, cell phone screen resolution has grown exponentially. For example, the resolution was 19.2 kpixels in 2002, 153 kpixels in 2007 and 3.6 Mpixels in 2015.